My clients had a specific wish list which included white rendered walls, modern minimal style planting (but with a splash of colour) and a water feature – and it all had to be low maintenance. 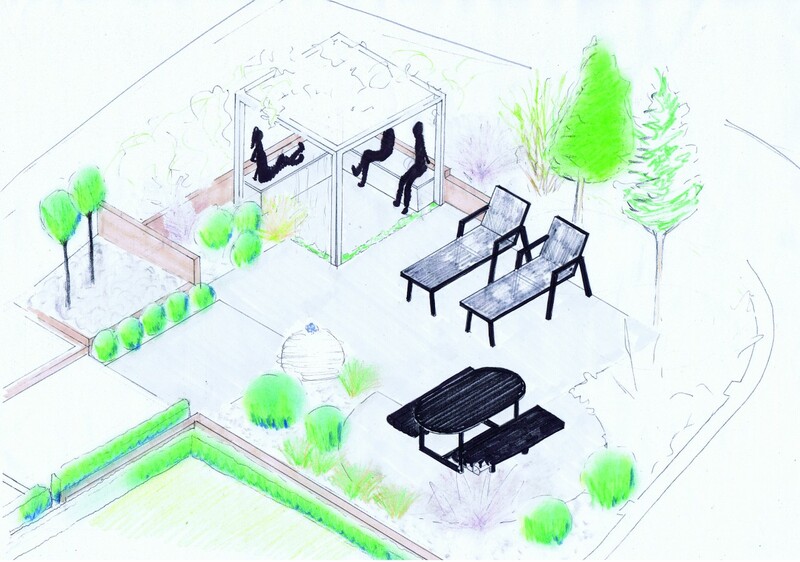 We created separate interlocking areas by shallowly terracing the sloped garden and positioning the main seating areas at the rear of the site where the sun shone in later afternoon and evening. 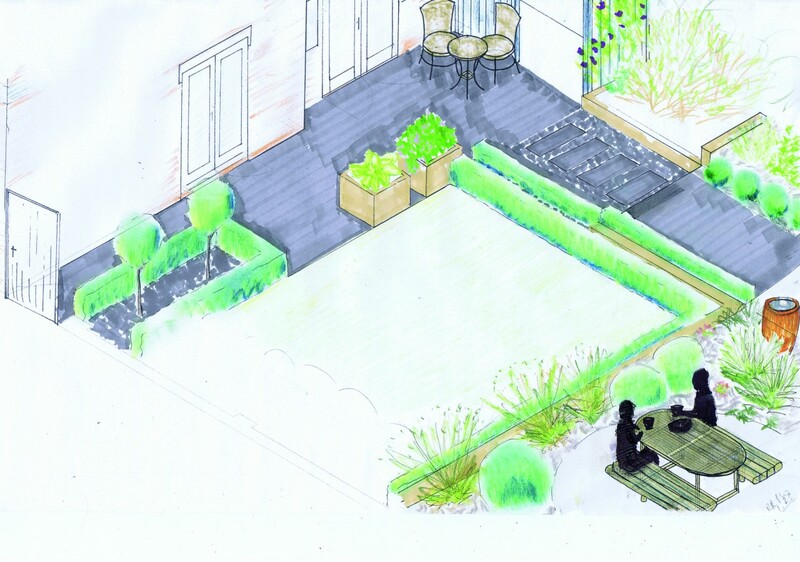 It is an amazing transition that allows my client to use the garden as an extension to their home, all year round. inspired planting, combined to realise dreams and enhance your living space.